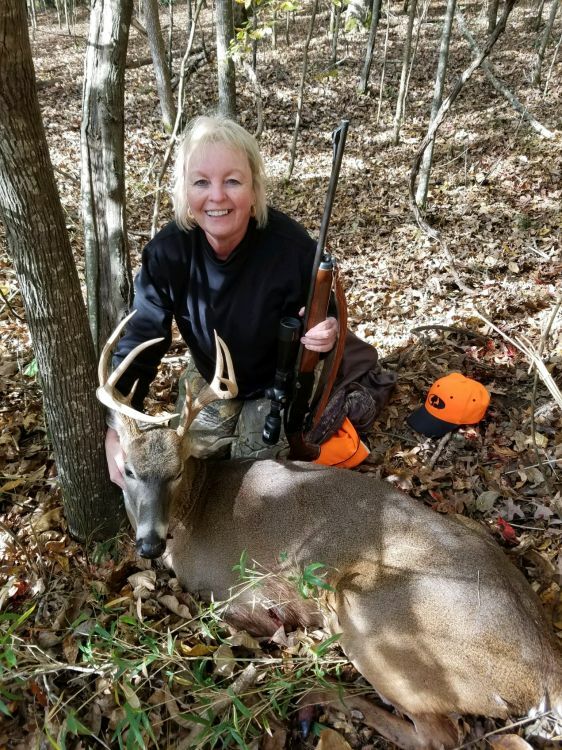 Pam Streeter with a nice buck she took after following her own advice in passing on him when he was younger. Pam Streeter Garrett and her dad, Wesley Streeter Sr., pose with her Papaw’s giant set of antlers from a deer killed more than 100 years ago. But big ones like this rarely just show up these days without some serious management efforts. 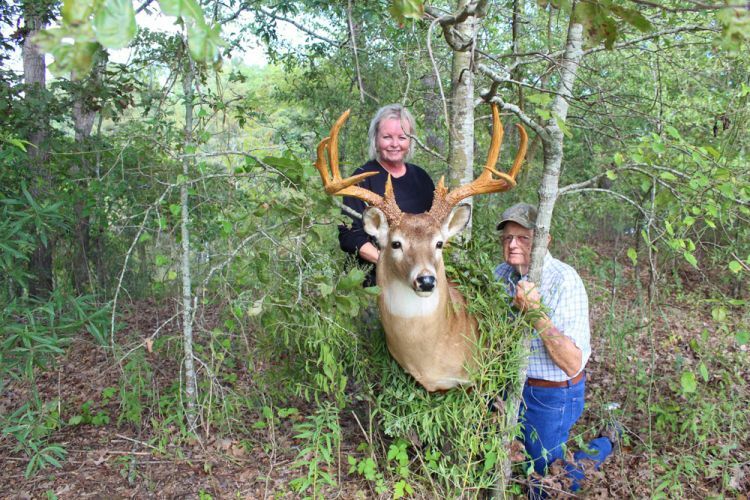 Pam’s father, trend-setting taxidermist Wesley Streeter, has been mounting giant bucks — like the whole body mount in the photo — for decades. Besides scrapes, rubs are the other common calling card of big bucks. A rub on a big bush like this indicates a pretty good deer. 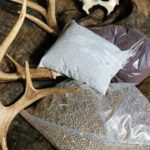 Sowing natural food seeds such as iron clay peas, winter wheat and green top turnips produces food plots that in turn, produce big deer. Wall hangers don’t just show up these days — they grow up. 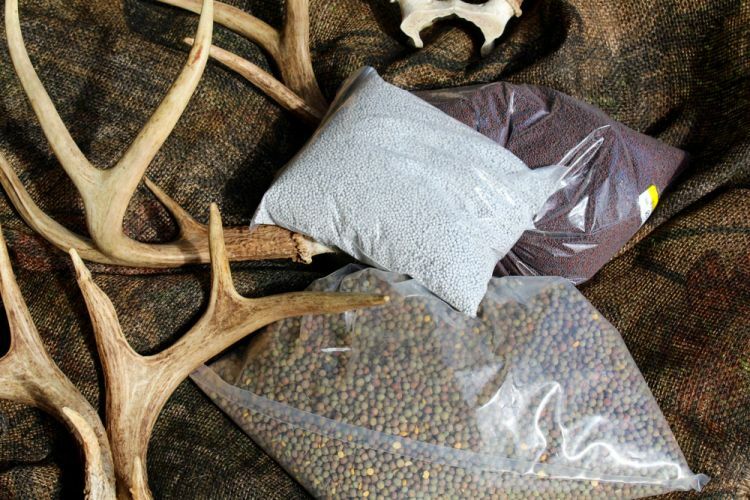 And this North Louisiana hunter shares some tips on how you can cash in this season. 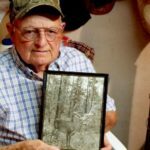 The past several seasons, big buck contests and social media posts have exploded with impressive photos of true trophy bucks, more than most anyone can remember in the recent past. So what’s the reason for this increase of big deer? Ask a dozen hunters and you’ll probably get a dozen answers. Is it better food plots? Are more hunters passing up shots on younger bucks? Is it better land use? Are hunters smarter? Or are they sharing their success in a more open and timely manner? It’s probably all of the above — and a little more. 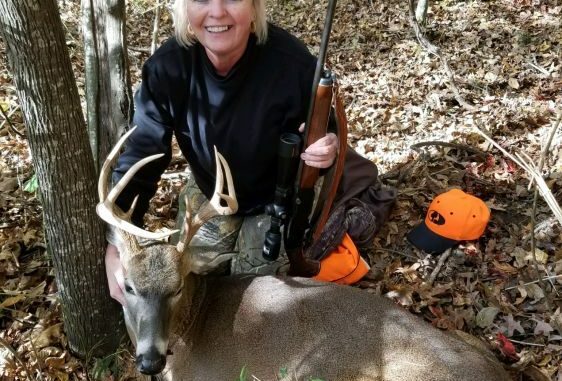 One North Louisiana hunter has quietly observed all sides of the trophy deer hunting game — and thinks she knows the reason. Pam Streeter Garrett of Sterlington believes women are often portrayed as shopping, TV-watching home chefs who enjoy cuddly animals. She’s the same way — but she enjoys shopping for hunting gear, watching deer hunting videos, cooking up tasty venison and mounting big deer heads. “I’m just glad to see that you are asking a woman about her perspective on trophy deer hunting,” Garrett said. 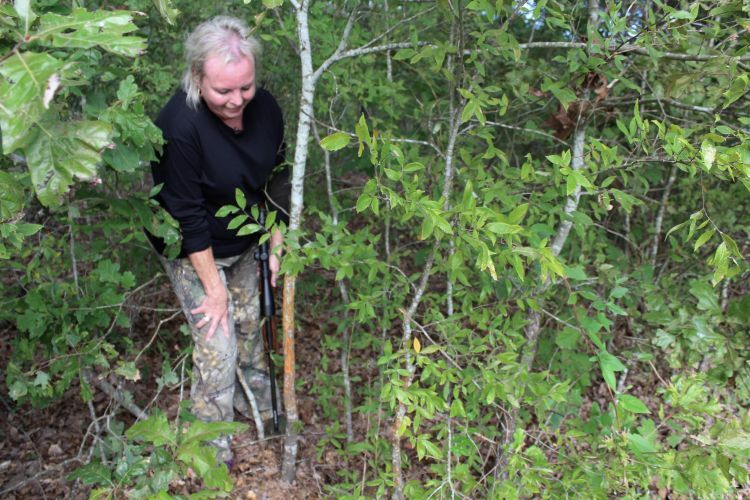 “There are a lot of women who are really good hunters, and the number is growing every day. And more of us are focusing on big deer, not just any deer that walks by. The Streeter family legacy started with Pam’s pawpaw, Bill Streeter, more than a century ago. 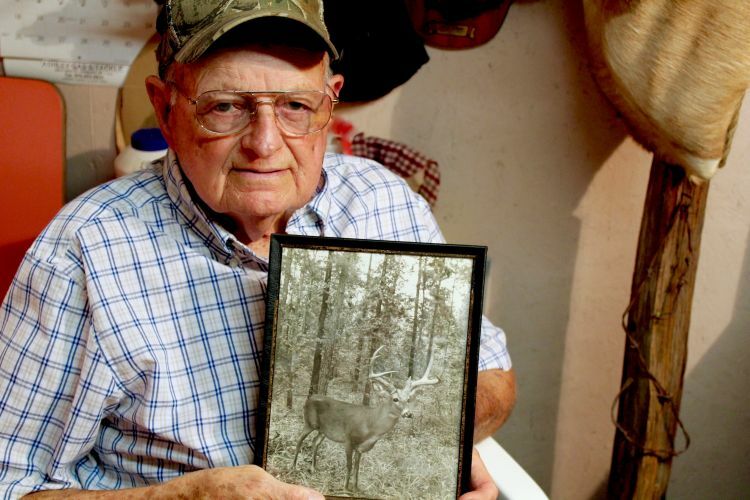 There weren’t many deer in 1910 when then 20-year-old Papaw Bill loaded up with the men and went meat hunting. They had to load everything from guns, ammo, food and tents on a mule — the kind you fed hay to — and walk back in the swamp to even find a deer. One day he found the buck of a lifetime: a 14-pointer that weighed well over 280 pounds and was officially scored at 174 7/8 inches. He shot it with a Winchester 32-gauge single-barrel. It was so huge they had to pack it out on the mule, and its head touched the ground on one side and its back feet touched on the other. As the story goes, the mule even balked a few times and regularly turned around to bite the deer and get it off its back. They didn’t mount bucks in those days, but the antlers have been preserved, and are now on a huge deer head. But deer like that don’t just show up these days. With land use changes and pressure of all sorts, it takes serious management to even come close to that kind of specimen. For the record, Pam’s dad is Wesley Streeter Sr., a pioneer in wild game taxidermy going back to the 1950s. 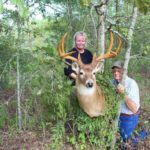 Growing up, she worked alongside him in his shop north of Bastrop mounting everything from big whitetails, mule deer, elk, caribou, bear and exotics to both fresh and saltwater fish. And she went alongside him in the woods where he regularly pursued his passion — hunting. Managing property for bigger bucks, from habitat to supplemental food supplies, is also important. And the more land that you can manage correctly the better. Hunting clubs and landowners are working together to provide larger land tracts all following the same management principles. That includes harvesting does and scrub bucks to keep the herds and the habitat healthy. Knowing what to look for in the woods is critical, also. Some big bucks will show up on camera, but others won’t venture far away from their safe zones except in the peak of the rut. 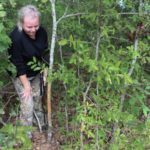 Learning to scout the woods and find rubs and scrapes and even small signs, like broken limbs where bucks rub their antlers, are all key to taking mature deer. 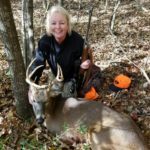 Pam is primarily a gun hunter, shooting a Remington .308 with a Nikon Prostaff 4-12 x 40 BDC and 150-grain Remington bullets. But she also is learning how to shoot a bow and arrow, and is looking forward to taking a really big buck during archery season soon. The first few cool days of fall have her excited about the upcoming season. That hasn’t been hurt by the fact that she’s seen numerous bucks on her game cameras, including some young up-and-comers that she calls her “investment for the future” bucks — and at least one nice 10-point that she’s ready to cash in on now if the opportunity presents itself. Even with the best management efforts, the list of serious threats to big bucks is growing. The risk of chronic wasting disease looms on the horizon. Wild feral hogs are reaching critical numbers as a habitat menace. The re-establishment of black bear populations has reached nuisance level in some prime deer zones. And while incidents are down, outlaw hunters who don’t follow the rules are always a cause for alarm. Deer hunters often talk about “horns” on a big deer. But deer don’t have horns — cars have horns and deer have antlers. Antlers are often called horns by some deer hunters, but they are not. Sheep, goats and cows have horns, formed by hair-like tissue that grows over a bony core. Horns are typically not shed, and can reveal the age of an animal by counting the annual growth rings inside. But deer antlers are a bone growth, made up primarily of calcium and phosphorous. They are deciduous, which means they are shed each year and grow back the next. The Streeter legacy of preserving wildlife has gone public. Wesley Streeter Sr., donated his personal collection to the Chemin-A-Haut State Park in Morehouse Parish near his hometown. 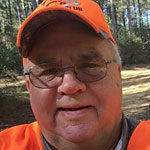 That means a wide variety of people have the chance to see Louisiana’s rich diversity of wildlife up close, thanks to the generosity of this long-time hunter and sportsman. Approximately 30 mounts are on display in protected areas throughout the park. Some items from the large collection include trophy whitetail mounts, a rare white squirrel, agiant loggerhead snapping turtle shell and various game fish. If you visit the park, make sure and ask to see the collection.